This is a replacement lid for the 36 ounce Sadler Redware teapot. 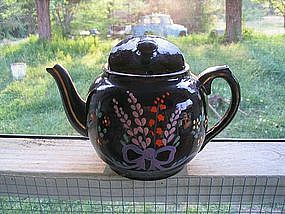 The teapot spout was damaged during a move, but have shown it for identifying purposes. I need your zip code to calculate the postage.